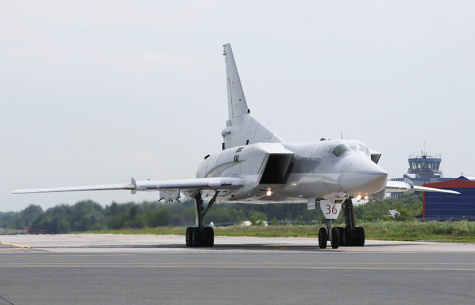 MOSCOW --- Russia’s upgraded Tupolev Tu-22M3M strategic bomber with a new Kh-32 supersonic cruise missile will join the Russian Aerospace Force’s long-range aviation in October, a source in the domestic defense sector told TASS on Tuesday. "According to the existing plan, the first Tu-22M3M with the most advanced Kh-32 long-range cruise missile will go on combat duty in long-range aviation in October this year," the source said. Tupolev Aircraft Company CEO Alexander Konyukhov earlier told TASS that the first modernized Tu-22M3M bomber would take to the skies in August this year. Another source in the Russian defense sector told TASS that a Tu-22M3 bomber was taken for its upgrade from among operational long-range aircraft and therefore it required no lengthy trials and "only several flights will be performed to confirm its stated technical characteristics." As the source specified, during its upgrade the bomber was furnished with new avionics, a new sight and navigation system and other onboard radio-electronic equipment. "The plane has been re-motorized: NK-25 engines with full service life have been installed on it," the source said. TASS has not yet received official confirmation of this information. The design documentation for the modified version of the Tu-22M3 bomber, the Tu-22M3M, was completed in November 2017. According to open sources, from 20 to 30 Tu-22M3 operational long-range aircraft are expected to be modernized. The upgraded bombers will rely completely on the domestic components base and feature a broader range of weapons. The Kh-32 cruise missile is designed to hit both ground facilities and destroy naval targets and radars. According to unconfirmed data, the missile has a range of up to 1,000 km and its speed exceeds the speed of the sound by five times. The tests of the Kh-32 missile were held from aboard the improved Tu-22M3 bomber.